Amazing holiday really cool spot. Really friendly people highly recommend. 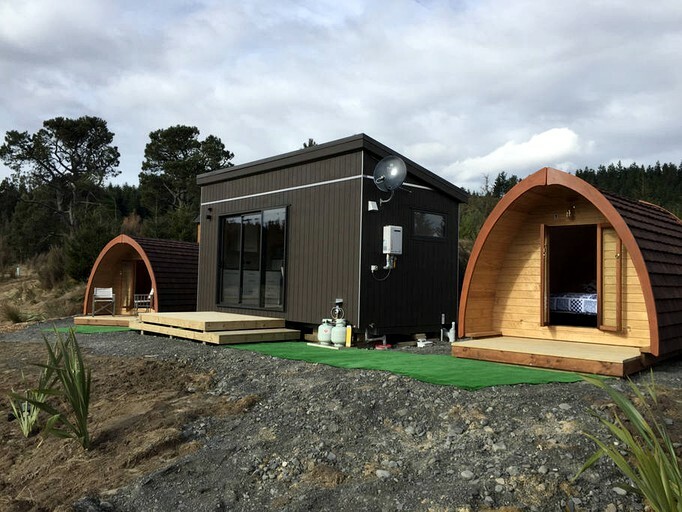 This retreat has a focus on comfort to glamping so that guests can get in touch with the incredible natural surrounds without compromising convenience and luxury. A separate building is equipped with facilities that are shared between the two huts on the property. 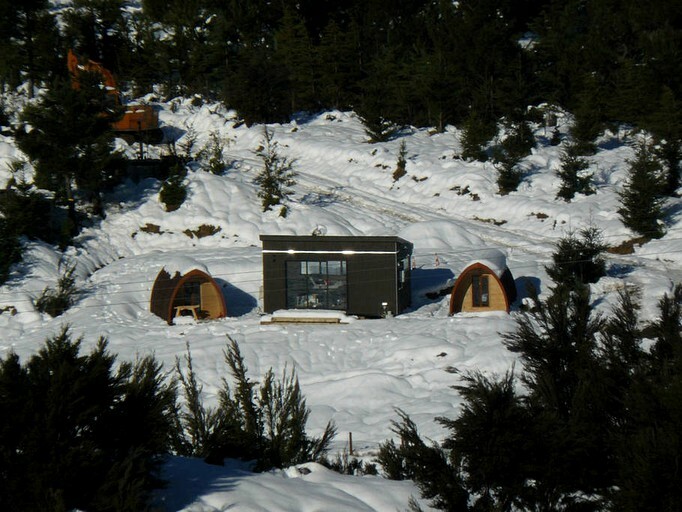 There is a kitchen, a flat screen television, a dining table, and a full bathroom with a shower, a toilet, and a sink. Heating and electric blankets are provided during the winter months to keep guests warm. 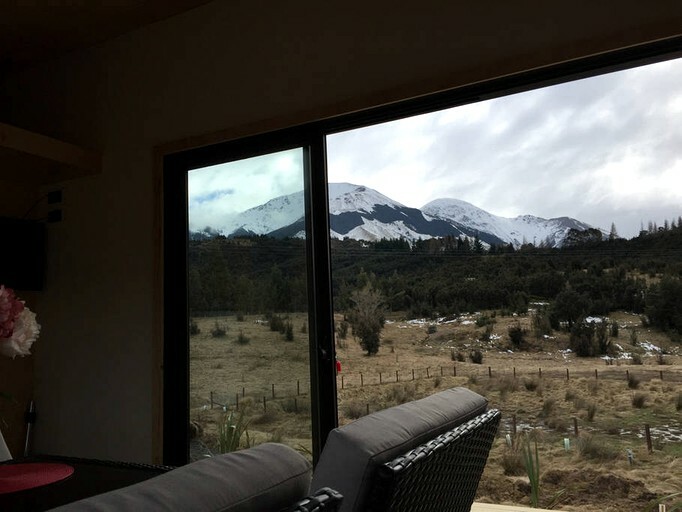 The private hut also features a small wooden deck with two chairs, the perfect spot to enjoy a glass of local Pinot Noir, admire the alpine views, or stargaze at night. 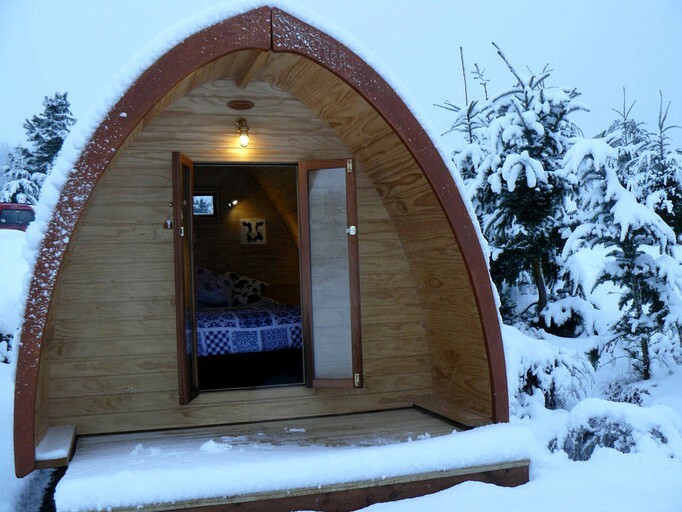 A spectacular alpine getaway any time of the year, this glamping hut is located on the outskirts of Lyford, a small village in the Canterbury region of New Zealand’s South Island. 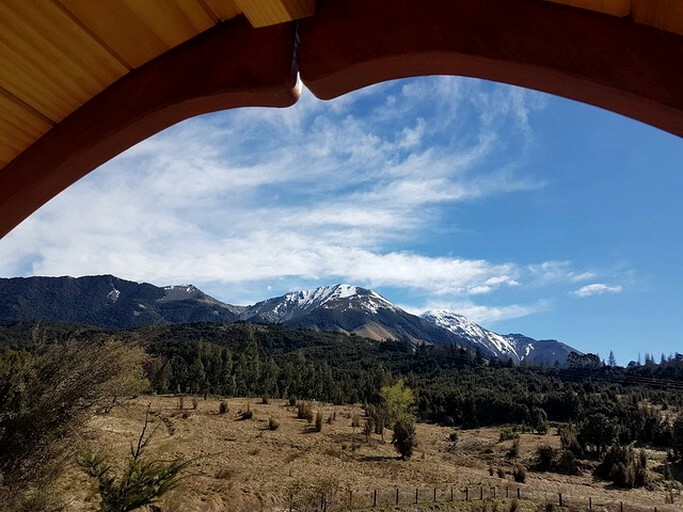 Lyford is about 85 miles north of Christchurch, 30 miles southwest of Kaikoura, and 40 miles east of Hanmer Springs, a stunning resort town. The closest larger town where guests can find gas stations, groceries, shops, and a golf club is Waiau, situated about 20 minutes to the south. 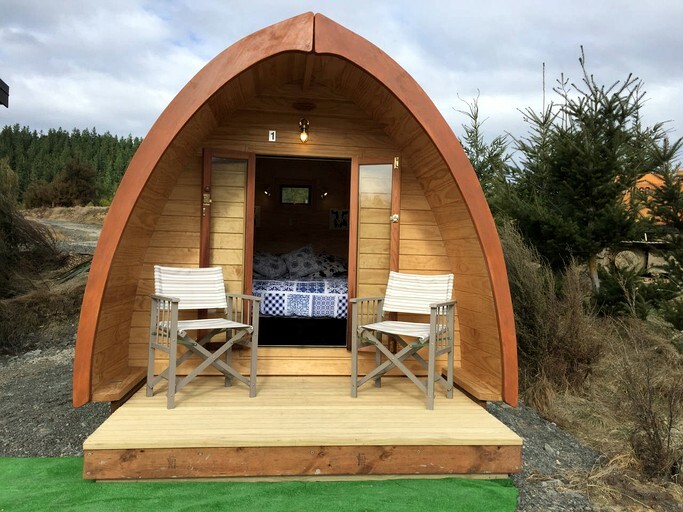 This glamping site sits right on the Alpine Pacific Triangle Route, making it the perfect stop for cyclists. 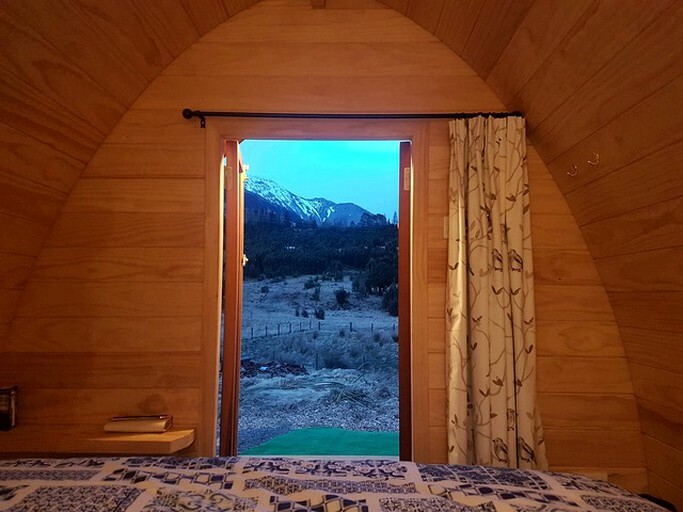 This glamping site’s rural setting invites guests to take walks along the trails, bike part of the Alpine Pacific Route, admire the incredible mountain views, swim in the mountain lake, kayak in the pond, and explore all that Canterbury has to offer. 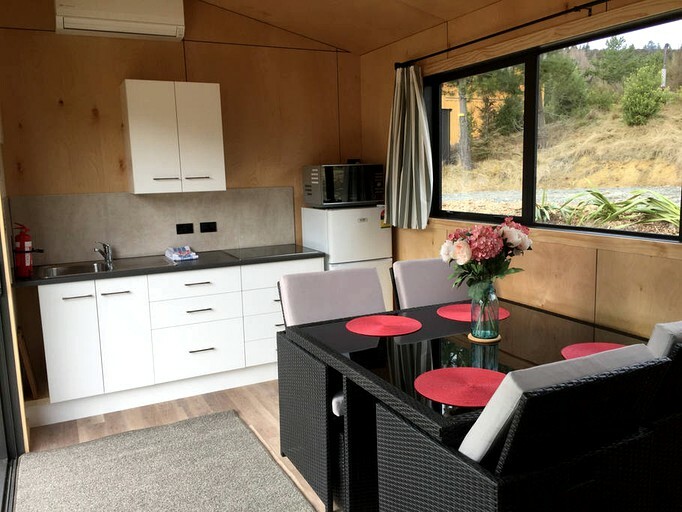 The ideal location of this getaway allows glampers to visit places like the Waipara Valley to try award winning wines, the hot springs in Hanmer Springs, the Waiau River for a fun afternoon of whitewater rafting, and Mount Lyford to ski the scenic slopes. The beautiful Lake Sumner is also close by, and is a popular area for hunting, trout fishing, mountain biking, and kayaking. If guests want to see some incredible marine life, they can take a day trip to the cozy coastal town of Kaikoura, where whale watching is a major tourist attraction. With so much to do ranging from relaxing to adventurous, this escape is sure not to disappoint. 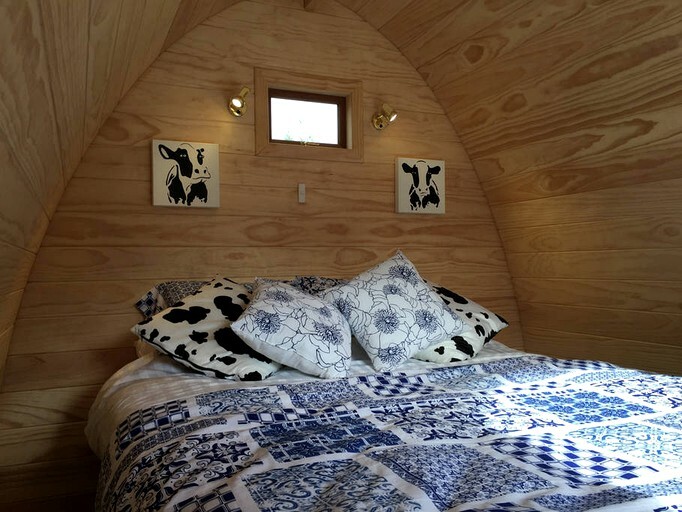 This glamping site is for guests ages 20 or older. This is not a pet-friendly accommodation. 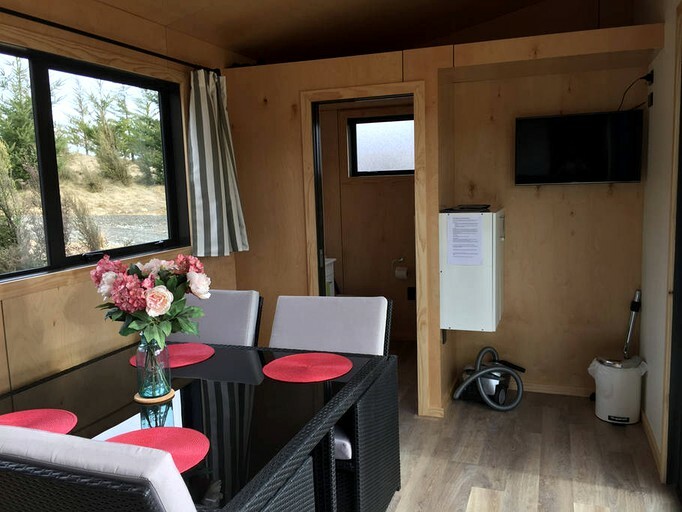 Glampers are asked to leave the accommodation as clean as when they arrived. If guests would prefer, a cleaner can be arranged for an extra fee.